Search-and-rescue pilot Kacey Fairing is home on leave in Mercy Falls, Montana, 12 years after she joined the military to escape the mistakes of her past. With a job waiting for her as the new lead pilot of Peak Rescue in Glacier National Park, Kacey hopes to reconnect with the now-teenage daughter she sees only between deployments. What she doesn't realize is that someone else is also back in town. 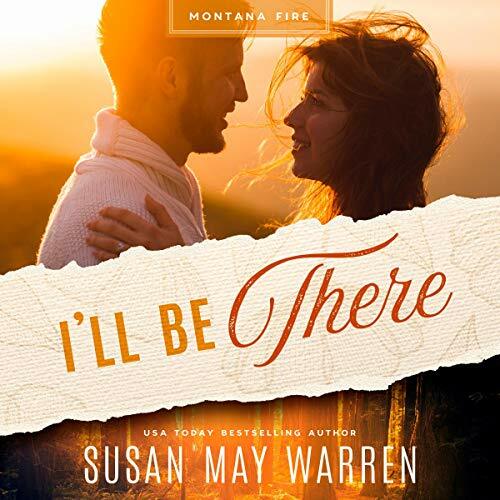 Susan May Warren has done it again. Kate Burns is a legendary smoke jumper, known for her courage and willingness to risk everything to get the job done. Only she has a secret, one she won't admit to anyone. Supervisor Jed Ransom commands the Jude County Smoke Jumpers with a reputation as a calm, levelheaded leader. Kate is the only one who's ever gotten under his skin. Police officer Isabelle St. John loves her crazy, loud law-enforcement family. And she knows they'll be there for her when things get tough. Like when her partner is murdered and she barely escapes with her own life. 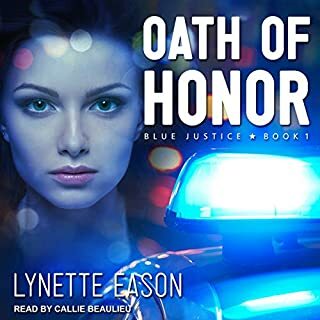 Determined to discover exactly what happened, Izzy's investigation sends her headfirst into a criminal organization, possibly with cops on the payroll - including someone from her own family. With her dead partner's handsome homicide detective brother Ryan shadowing her every move, Izzy's head is spinning. When western Alaska erupts in a devastating fire, the elite firefighting crew of the Jude County Smokejumpers is called in to save the day. They’ll do anything to stop the fire, including fighting alongside a crew of local prisoners. 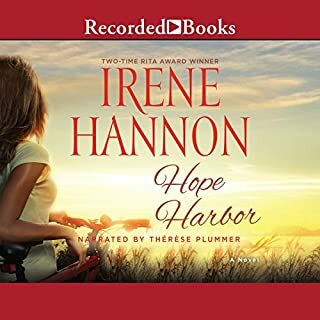 Come home to Hope Harbor - where hearts heal...and love blooms. Tracy Campbell never wanted to leave Hope Harbor, Oregon, or the idyllic three-generation cranberry farm where she grew up. But life - and love - altered her plans. Now she's home again - with a floundering farm to run...a tragic secret...and a wounded heart. Romance is not on her agenda. Nor is it on Michael Hunter's. The visitor from Chicago has daunting secrets and devastating regrets of his own. Darek Christiansen is almost a dream bachelor - oldest son in the large Christiansen clan, heir to their historic Evergreen Lake Resort, and doting father. But he's also wounded and angry since the tragic death of his wife, Felicity. No woman in Deep Haven dares come near. New assistant county attorney Ivy Madison simply doesn't know any better when she bids on Darek at the charity auction. Nor does she know that when she crafted a plea bargain three years ago to keep Jensen Atwood out of jail and in Deep Haven fulfilling community service, she was releasing the man responsible for Felicity's death. In college, Griffin McCray and his four best friends had their lives planned out. Griffin and Luke Gallagher would join the Baltimore PD. Declan Gray would head to the FBI, and Parker Mitchell would go on to graduate school as a crime scene analyst. But then Luke vanished before graduation, and their world - and friendships - crumbled. Now Griffin is a park ranger at Gettysburg, having left life as a SWAT-team sniper when a case went bad. This bundle includes three romantic suspense novels: Betrayal, Deadly Isle, and Code of Ethics. Shauna McDade is single mom to a five-year-old son after her husband was killed in a climbing accident. Her aerial photography business is on the verge of bankruptcy after a string of mechanical failures that don't seem coincidental. She recently took pictures for an environmental study and noticed a dark spot in the Juan de Fuca Strait. Her pictures created a furor when it was discovered that the runoff is coming from one of the largest lavender growers in the valley, a family business inherited by Shauna's estranged cousin. A Story To Keep Your Attention! Reeling from a negotiation gone wrong, FBI Special Agent April Ramos is caught off guard when a frazzled young woman shoves a crying baby into her arms, then disappears. Worry for the child's safety quickly turns to fear when a man claiming to be the girl's father abducts them at gunpoint. April puts her hostage negotiation skills to use to learn more about who she's dealing with: Jason Snyder, a fugitive accused of murder. As Jason spins a tall tale about being framed for the killing of his business partner, April must sort through his claims to find the truth. Erica James has spent the past three years as a skip tracer, hunting down others and hoping one day it will lead to her kidnapped daughter. Now she has a new suspect - Max Powell's missing sister. Max, a private investigator, has found evidence that connects the two missing girls, and together, he and Erica search for answers. The closer they get to finding answers, the stronger their feelings for each other become. But the kidnapper will stop at nothing - including murder - to keep them from finding Erica's daughter. The bodyguards of Elite Guardians Agency have more than just skill and prowess in common; they're also all women. When it becomes clear that popular psychiatrist and radio personality Wade Savage has a stalker, his father secretly hires Elite Guardians in order to protect his son. But when Wade's bodyguard is attacked and nearly killed, agency owner Olivia Edwards must step in and fill the gap. In the biggest case of her career, attorney Kate Sullivan is tapped as lead counsel to take on Mason Pharmaceutical because of a corporate cover-up related to its newest drug. After a whistleblower dies, Kate knows the stakes are much higher than her other lawsuits. Former Army Ranger turned private investigator Landon James is still haunted by mistakes made while serving overseas. He is hired by Kate to look into the whistleblower's allegation and soon suspects that the company may be engaging in a dangerous game for profit. Kaely Quinn's talents as an FBI behavior analyst are impossible to ignore, no matter how unorthodox her methods. But when a reporter outs her as the daughter of an infamous serial killer, she's demoted to field agent and transferred to St. Louis. When the same reporter who ruined her career claims to have received an anonymous poem predicting a string of murders, ending with Kaely's, the reporter's ulterior motives bring his claim into question. But when a body is found that fits the poem's predictions, the threat is undeniable. When Marianna Santino's roommate is killed, Detective Ethan O'Hara can't fathom the motive. Then he realizes the deaf teacher was the intended target. Marianna must have something the murderer desperately wants. But what? Digging for the truth, the guarded cop tries to learn everything he can about Marianna. Her world. Her family. Her beauty, faith, and fierce independence. In spite of himself, Ethan finds that he can't keep his feelings at bay. Soon, he's willing to risk everything to lay the silent terror stalking Marianna to rest. Suspenseful &amp; satisfying. Will definitely re-read. Detective Nate Quinn has just been cleared for active duty after a bombing killed 18 people, including his partner, and left him dealing with PTSD. 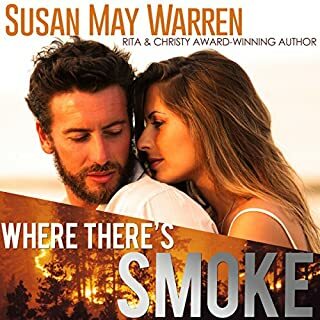 His first case back on the job involves the murder of Stephen Shaw, and his only lead turns out to be an old friend, Grace Callahan - and her life is in grave danger. Someone believes Shaw gave his psychologist information before he died. Information for which they are willing to kill. Good story but the performance was just okay. A notorious gang puts a bounty on Detective Cady Matthews's head after she takes down their leader, leaving her no choice but to hide until she can testify at trial. But her temporary home across the country on a remote North Carolina island isn't as peaceful as she initially thinks. Living under the new identity of Cassidy Livingston, she struggles to keep her investigative skills tucked away, especially after a body washes ashore. When local police bungle the murder investigation, she can't resist stepping in. Smokejumper Conner Young can't wait to marry the woman who's stood by him for three years as he fought fires in the forests of the northwest. The only wound in the weekend is the lack of his best man - a brother whose murder is still unsolved. It's unfinished business that haunts him, keeping him from truly moving on. Liza Beaumont, long time Deep Haven artist is a survivor of a brutal grizzly attack. Struggling with nightmares, she's not sure she's ready to join Conner's world. He's a hero, yes, but his life is rife with danger and stress and frankly she's not sure she has the courage to be the wife of a man who may not come home again. When Liza's wedding invitation unearths a witness in his brother's murder, Conner's hope of solving the case is reignited. Suddenly, it's a choice between showing up to help Liza knit together their perfect day - or tracking down his brother's killer. But when his investigation finds its way to Deep Haven, and Liza's life is threatened, there may not be a wedding at all. 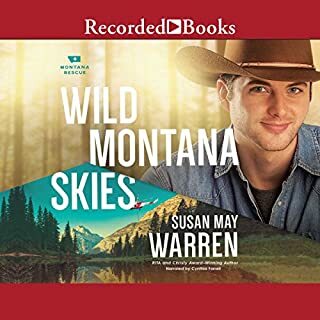 I think Susan May Warren has just become my new favorite fiction author! 'I'll Be There' is a novel in which I have found that mythical quality that all true bookworms seek: this book falls into the "it-all" category. As in, this book has "it all". Such a rare quality anymore, 'I'll Be There' hits all of the notes I search for when I hunt for something that will keep my attention and give me the opportunity to actually fall into a story instead of aalready knowing what will happen. In other words, Ms. Warren's novel had: Intrigue? YES Mystery? YES Romance? YES Humor? YES Happiness? YES Heartache? YES Giggle-Worthy Moments? TONS Desire? YES Hope? YES Faith? YES Education? YES Religi in ńlon? YES Relationships? YES Important Message? YES Scripture Reference? YES, WOW! action packed... loved how it brought together familiar characters from past books! The struggles and emotions of the characters felt very real to me. Thoroughly enjoyed this book! Romantic Christian suspense at its best. Highly recommend for other readers. Wow! On the edge of my seat! Wow! I've been in the edge of my seat through this whole store! Awesome book. True action, adventure, love and faith! Of course I read the book over a month ago. It was so great! Then I had to get it on Audible and go through it again. All my favorite characters from Deep Haven too! 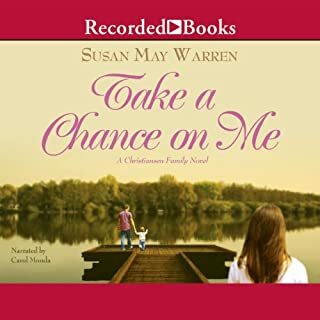 Cant wait to start my next Susan May Warren book! best of the series....which is saying a lot. love how we get to 'visit' characters from prior SMW books/series. & especially how Bible principles are demonstrated. Definitely credit worthy. 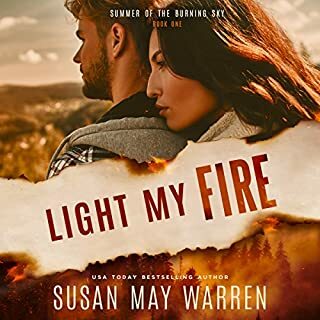 I've enjoyed all the series written by Susan May Warren, but this one just may be her best book yet. Loved the character development of both Connor & Liza and how thru their dependence on God they were able to face life's hardships. I so enjoyed the humor, the banter back & forth between friends, the suspense and of course the romance - the perfect balance! P.S. Would love a book like this for Rueben & Gilly too! It's so fun when you include "old friends" from other books/series.